Whether you’re searching for charm or practicality, we have the perfect shutters for you. 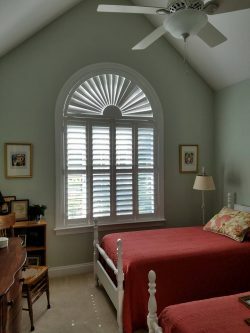 A Shade Above the Rest has proudly been serving Charleston, Mount Pleasant, Summerville and the surrounding South Carolina communities with high-quality plantation shutters, shades and blinds, accompanied by exceptional customer service! We bring decades of experience to every job and take pride in delivering personalized solutions to all our clients. Contact us today for a free in-home estimate. Block damaging UV rays from ruining your possessions and give your home an enjoyable level of privacy with new window treatments in Summerville, SC! A Shade Above the Rest proudly brings customers best-in-class window treatments from some of the industry’s most respected and recognized names. More than that, we take the time to consult with you in your home, to help you make a decision you’ll come to love for years and years! Whether you decide to grace your home with blinds, shutters or shades, you can rest assured they’ll be curated by our talented team. What sets A Shade Above the Rest apart from other companies or simply buying off-the-shelf is more than just our product selection. We take things a step further. Any window coverings in Summerville, SC bought from us are completely tailored to fit your home. This means we come in and measure perfectly for all of your windows and have products specially cut to fit them. Then, when it comes time for installation, our team handles the entire process. All you have to do is enjoy your investment in quality window coverings! With numerous styles to choose from and unparalleled service with every interaction, we promise you’ll get the window treatments that are ideal for your home when you work with us. We offer free in-home consultations and estimates on products. We can cut temporary shades for our customers while they wait for their custom blinds and shutters to be delivered. Our business is family-run, by cousins Sam Wood and Mike Van Axen. We believe in strong family values. We bring more than 25 years of professional experience to every home and business we serve. Keep the sun at bay and enjoy a wonderful level of privacy in your home with the right window treatments. Contact us for a free in-home consultation today! "We were extremely pleased with their service and products! They were very professional, answered on a timely manner, delivered as promised, ..."
"Best Price, Customer Service, and Product. This review is long overdue. They are phenomenal. I shopped online and around for months. I liter..."
"They did a great job on my shutters. They showed up 10 minutes early and were done in 30 minutes and it looks spectacular!" "I would like to take a moment to commend A shade Above the Rest and Tracy for the courteous and professional way they treated us. On other ..."
"An addition we added to our home was completed in 2018. The existing plantation shutter no longer fit the new window. Thankfully the contrac..."